Duvier has been coffee producer for 25 years, he represents the 3rd generation of coffee growers in his family. 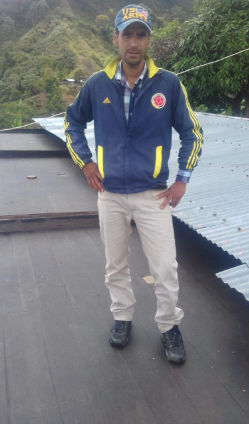 Today he grows Caturra, Typica and Yellow Colombia varieties. When he was younger he always dreamed of becoming a grower that could represent well the coffee growing industry. Being this the first time he competes in Cup of Excellence, he says that this has been a clear proof of how the hard work pays off. Duvier gives credits to his wife Yolanda Sanchez who has been supporting him in every task, he expects to keep competing in future Cup of Excellence contests and aims to get the 1st place. He says that he comes from a humble family that has been working very hard and feels happy and motivated with this new achievement.